Millwall Community Trust is seeking additional Trustees from diverse backgrounds who can bring to the Trust their enthusiasm and experience gained in the local community and/or in business, industry or a profession. MCT welcomes applications from suitably-qualified people to join its Board of Trustees to contribute to setting the strategic direction of the Trust and overseeing the Trust’s effective management. Trustees have ultimate responsibility for directing the affairs of the Trust and ensuring that it is solvent, well-run, and delivering the charitable outcomes for the benefit of the public for which it has been established. Hollywood Bowl at the Surrey Quays Leisure Park has reopened after a £350,000 makeover. The bowling centre has been refurbished despite plans for the redevelopment of the Surrey Quays Leisure Park as part of British Land’s masterplan for Canada Water. The 28-lane centre now has six VIP lanes as well as a new diner and bar. “This is a massively exciting time for our centre – we’re getting a makeover that befits our glamourous name and stylish London location,” said general manager Dan Martinez. 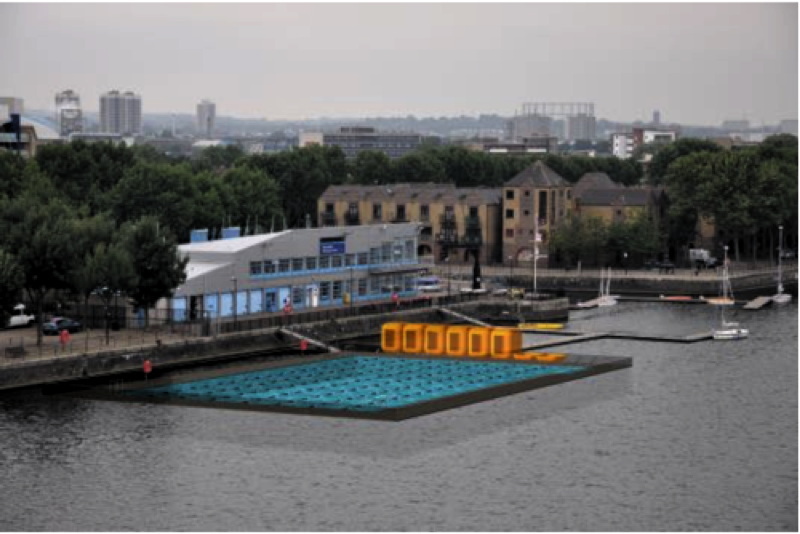 A proposal to install a floating swimming pool in Greenland Dock has been turned down by Southwark Council planning officers. We first reported the scheme back in May. The proposal was put forward by South Dock-based architect Adrian Priestman. At a recent overview & scrutiny committee Cllr Mark Williams (cabinet member for regeneration and new homes) revealed that Mr Priestman’s proposal did not have the support of the council administration. The planning application attracted more than 50 objections and 20 letters in support. This week officers used delegated powers to refuse the planning application, citing the lack of an ecological impact assessment, adding that “the council are not therefore in the position to fully assess the impact of the proposal on the Site of Importance of Nature Conservation that is Greenland Dock”. Posted in Planning, River Thames, Sport. Greg Rusedski this week visited Southwark Park to unveil two new tennis courts. The new courts were funded with £80,000 through Bermondsey & Rotherhithe Community Council’s Cleaner Greener Safer grants fund, with the London Marathon Charitable Trust also contributing £50,000 to the project. Cllr Barrie Hargrove, cabinet member of public health, parks and leisure said, “The demand for tennis facilities in the borough has been increasing amongst local people of all ages, especially with the recent success of some of the UK’s top players. Former British number one Greg Rusedski said: “It is fantastic to see councils like Southwark investing in grassroots sport in this way. Posted in Parks & open spaces, Sport. Last week the vexed question of where a new leisure centre to replace Seven Islands should be located was the topic of a further lengthy session at Southwark’s overview & scrutiny committee. Cllr Mark Williams (cabinet member for regeneration and new homes) and Jon Abbott (head of regeneration north) gave a presentation on the various options, including refurbishment or rebuilding on the Seven Islands site. Posted in Planning, Politics, Sport. Where should SE16’s new leisure centre be located? Southwark’s cross-party overview & scrutiny committee spent nearly two hours debating the future location of a leisure centre to replace the current Seven Islands centre on Monday night. The meeting followed last month’s decision by regeneration boss Cllr Mark Williams to designate a strip of land to the west of the current Surrey Quays Shopping Centre car park – next to a realigned Deal Porters Way – as the preferred location for a new leisure centre. 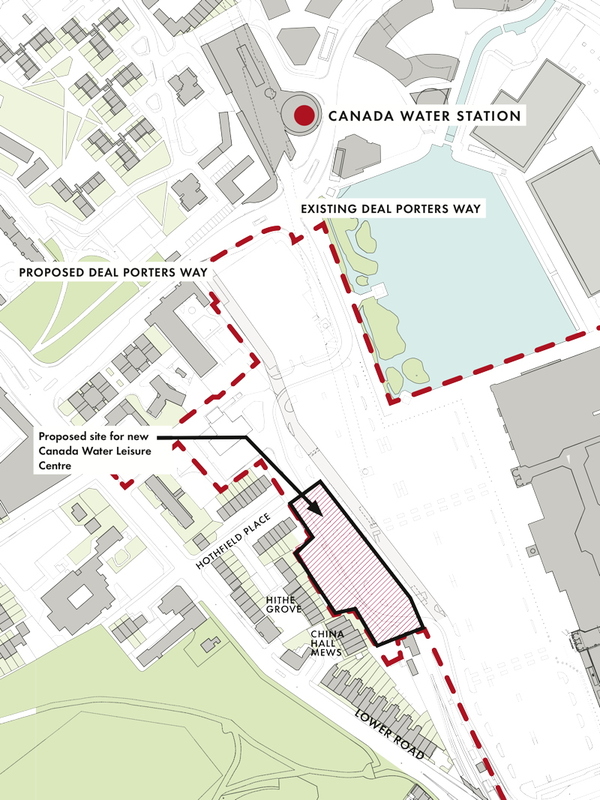 The committee heard from Pauline Adenwalla of the Canada Water Consultative Forum as well as Lower Road resident Tom Holder and Catherine Whitaker of the newly formed Canada Water West Action Group. Cllr Mark Williams and council officers Jon Abbott and Tara Quinn also addressed the committee. The council will consult local residents on the proposals during the autumn. You can watch the whole session online, courtesy of the Southwark scrutiny team. 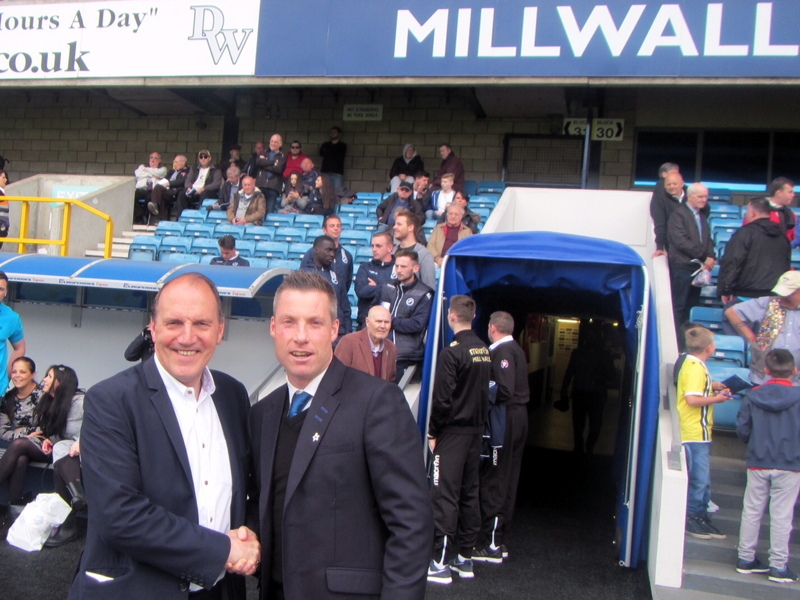 Millwall FC manager Neil Harris has endorsed Simon Hughes’s campaign for re-election in Bermondsey & Old Southwark. 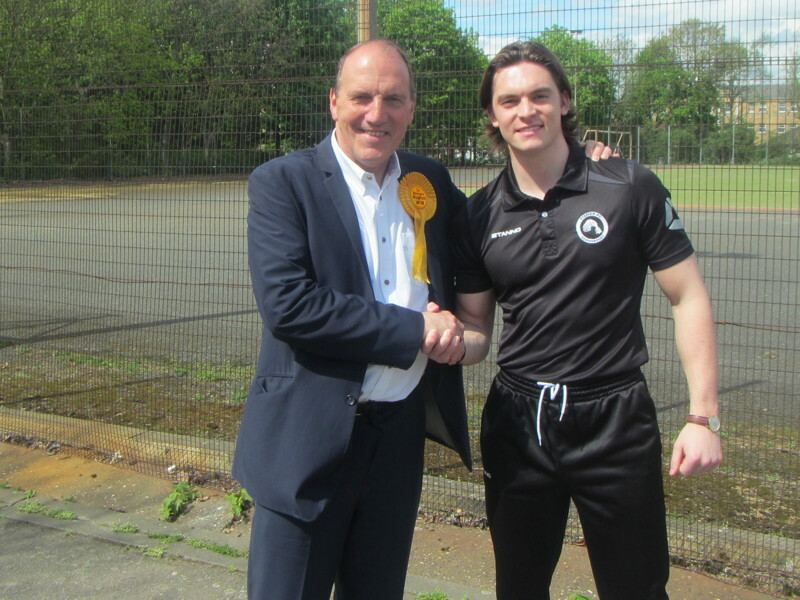 Neil Harris said: “Simon Hughes has been a great friend and supporter of Millwall over many, many years – no Member of Parliament could have done more. Harris isn’t the only local sporting figure to back Mr Hughes. Danny Maguire, captain of Fisher FC, said: “Simon has been instrumental in bringing Fisher FC home. As always, he has been fully committed to our community and he recognises the importance of having a local football club back in Bermondsey. For the past couple of weeks now Sam Aremu has been out in the local riverside parks (Durand’s Wharf and King’s Stairs Gardens), 6pm-8pm Monday to Friday, giving fitness sessions to anyone willing to give it a go. He moved to Rotherhithe from Camberwell two years ago when his daughter was born. He was drawn here as he had fond memories of the nearby Fisher Club where he started boxing in his teens. A schoolfriend got him to go along with him and that was it, he was hooked. His passion for fitness training really began about five years ago. Two years ago he took it a step further and paid greater attention to diet as well, and last year he qualified as a personal trainer. What sparked off his current initiative was the desire for his daughter to be able to play outdoors, freely and safely in a community in which neighbours know each other, as he used to do when he was little. Too often we don’t know the people we are living right next to. So he thought about what he could do to make a change and came up with this idea that he could share his knowledge of fitness and help people get into shape. He is keen to encourage everyone to join him. It doesn’t matter if you’ve never done anything like it before. “It’s all about being positive” he says. The idea is to ease people into it and build up their self-belief, and then set challenges. 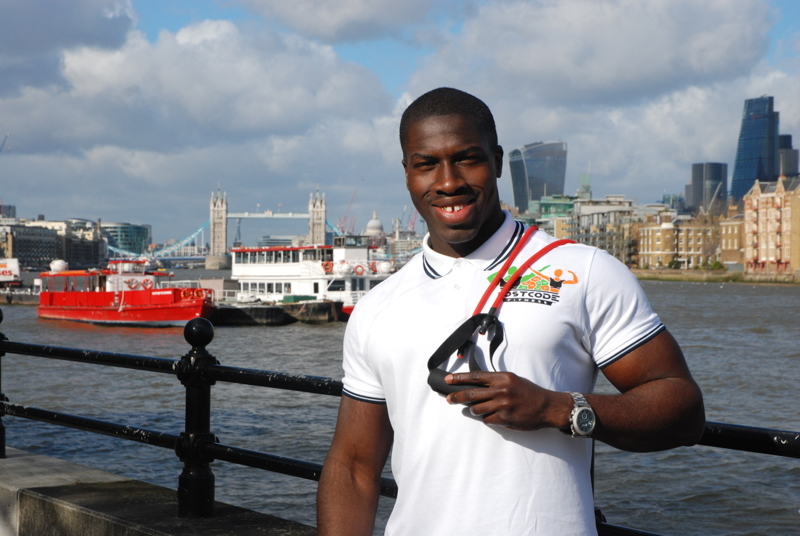 Sam Aremu of Postcode Fitness meets at 7pm by the riverside at King’s Stairs Gardens everyday Monday to Friday. His sessions are run on a donation basis: pay what you can and what you think is reasonable. As part of that, councillors heard a presentation from the recently founded London City Athletics Club which hopes to make its home at the soon-to-be-revamped athletics track at Southwark Park. Posted in Parks & open spaces, Politics, Sport.